Defying all logic, forgetting it is still February and going all above normal for this time, the day temperatures have soared higher,over a larger area today,27th. 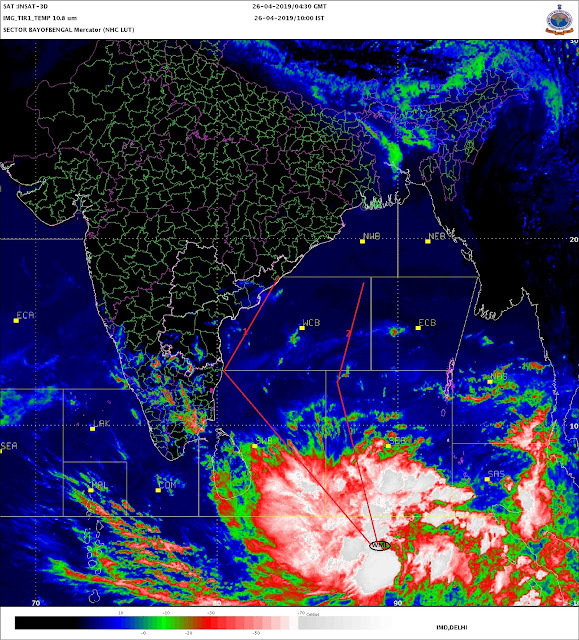 The IMD map shows the red region increasing, and the 35c-38c range has suddenly enlarged !! Many places in the Indian sub-continent have reached 37/38 today, .Suddenly,quite a few are in the fray now:Anantpur and Kurnool 37.8c,Solapur 37.6c, Mumbai, Ahemdabad and Akola 37.5c,Baroda/Rajkot 37.4, to name a few. There are so many of them, that I feel it will be easier to potray the 37/38s in a map. And, what a surprise ! Mumbai has suddenly joined the race to reach 40c first ! With a high of 37.5c at S'Cruz today (27th.) the city is in the race !